Manufacturer's instructions must be followed. Instructions will come with your child car seat. Keep the instruction booklet with the seat in the car. If you have lost the instructions, check the manufacturer's website. Don’t risk trial and error. If you are unsure about anything, seek advice from us. Never modify the child seat or the car seat belt to make it fit. It is safer to have child car seats installed in the back of the car as opposed to the front. Never fit a rear-facing car seat in the front passenger seat while the airbags are still active. If installing a forward-facing car seat in the front passenger seat, airbags must be active and the passenger seat must be moved back – in some models this may be as far back as the B pillar and in other models it may be as far back as possible, so ensure to check the specific car manual for this information. Check with your car manual (the child car seat section), to see if there are any specific instructions concerning child car seats on any of the vehicle seats. We will always advise you to physically check that the car seats fitted in your car(s), before purchasing are suitable in every way. Ensure that it is compatible and fits correctly. 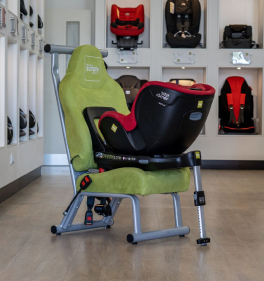 Car seat manufacturers provide car seat ‘Fit Finders or Suitability Lists’, but these are simply a guide, a compatible fit cannot be guaranteed. If a child car seat is installed incorrectly or it is not compatible in the car it has been installed in, then the seat will not perform the way it was intended, and may even be dangerous. Has your car ISOFIX or a Top Tether? Not having these will automatically eliminate all isofix car seat choices. If fitting a seat with the adult seat belt, the length of the adult seat belts may affect this? Is your car small or large an SUV or people carrier, possibly even a sports car? Size of driver or passenger, will affect the available space for a car seat. All these considerations will determine the type of seat selected, and where it is positioned in the car. The shape and recline of your vehicle seat will impact on the performance and positioning of your child seat. When installing a car seat with the lap and diagonal seat belt, the first thing you must know is that there are two types of guides on the seats – one is blue, which indicates rear-facing installation, whilst the other is red, which indicates a forward-facing installation. This will make it easier for you, especially when installing a combination seat (one that may be turned rear facing or forward facing), as they may incorporate two different coloured seat belt guides. If you purchased in store, we will have given you a demonstration of how to fit your car seat. If you purchased online, or if you have simply forgotten, your car seat comes with a manual which will tell you how to install your seat. While following the instructions from your manual, also ensure that no seat belts are not twisted. A twisted seat belt will not allow for the tightest possible fit. When you have everything in position, we would always recommend placing your your weight onto the seat, while pulling the shoulder belt as tight as you are physically able. This will mean all slack has been removed from the belt and ensure that the seat is firmly fitted. ‘Buckle Crunch’, is where the seat belt buckle is in contact with the seat, and not the webbing of the seat belt. In a collision, the seatbelt buckle may shatter or open. This is often found in cars where the seat belt receiver (the piece with the red release button) is at the end of a long flexible stork or piece of webbing. Alternatively, you may have short belt receivers. If this occurs it may be necessary to change your seat for one that offers the option of alternative routing to secure the seat. ISOFIX seats are straight forward to install. 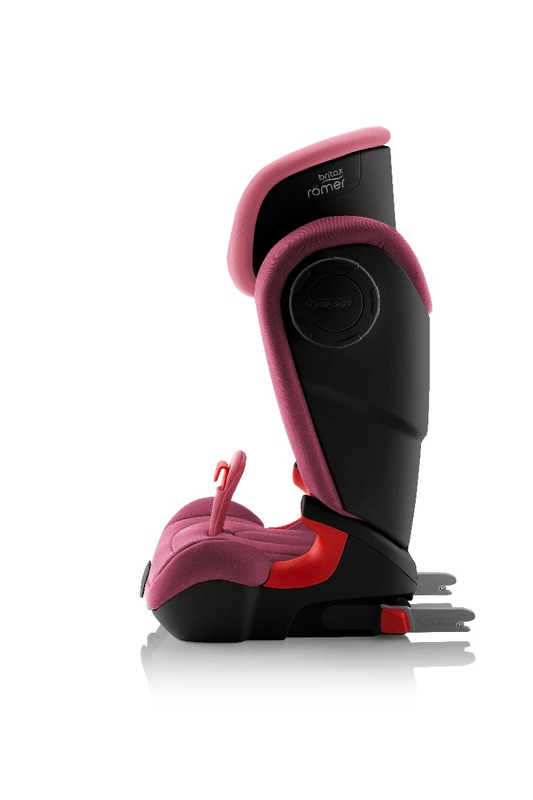 Attaching to two ISOFIX points in the vehicle seat, and in most cases utilising a support leg or a top tether, the support leg and top tether are to stop the seat from rotating(head over heels in an accident). Seats, incorporate indicators that switch from red to green when installed correctly. Not all vehicle seats are suitable for ISOFIX seats. 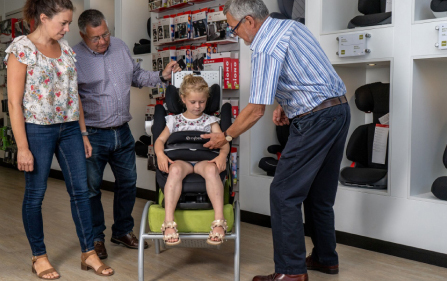 An example may be that the base is not fully supported by the vehicle seat, or as it is designed for and adult, make the child seat too upright. Not all seat are suitable for all cars! When using a car seat with a support leg, you must check if your vehicle underfloor storage boxes. 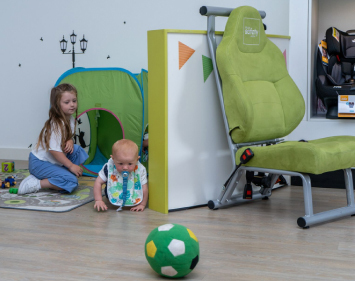 This is important because if you were to be in a collision and the support leg is resting on the lid of the storage box, it may break through the lid, placing your child in a more lateral position. You may find a storage box on one side of the car, allowing you to position of the car seat where there is no storage box. If the support leg is long enough to reach to the bottom of the storage box, this should only be done if ‘approved’ by the seat manufacturer. It is possible to obtain ‘filler’ for these boxes for some, but not all vehicles. Do not be tempted to fill these boxes with anything other than an ’approved’ filler. The top tether position in your vehicle may be located by consulting the vehicle manual. Do not assume it is a top tether point as it may be a luggage securing point. New models of cars produced after 2012, should be fitted with a top tether Isofix point. It appears to be difficult to define new model. So don’t assume your vehicle has a top tether point, even if the car seat fitting list, states that it does. If in doubt consult us. 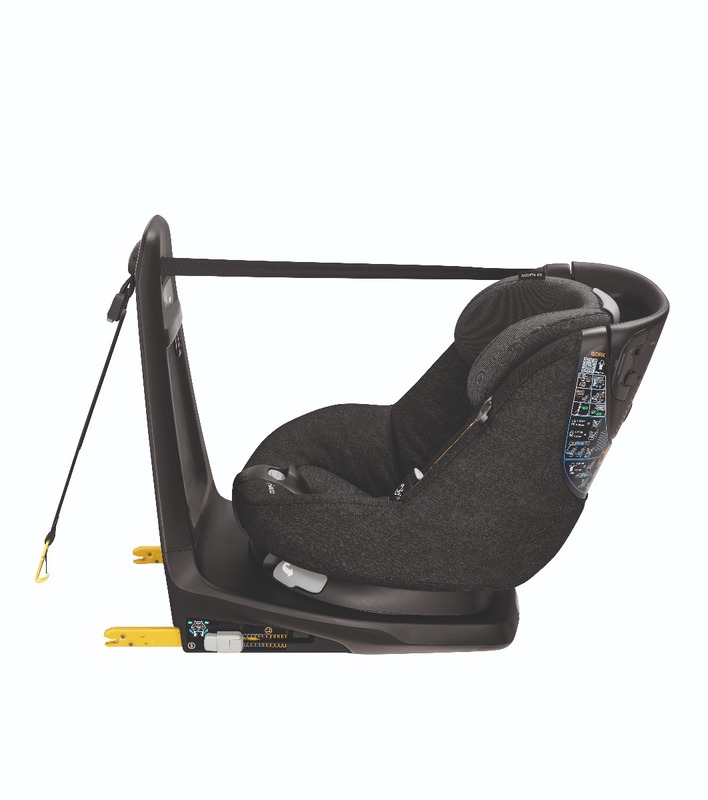 The seat pictured (Maxi Cosi Axissfix Air) uses both ISOFIX and Top Tether. This is something that will develop over the coming years but currently, all i-Size car seats will fit in all i-Size approved cars. However, we still do recommend a physical fit to account for things such as how much room the car seat will take up in your car, how the vehicle seat cushion impacts on the recline or the child car seat. In Car Safety Centre always recommends trying car seats in your car before purchase. This is the best way to confirm the seat is suitable for your child and compatible in every way with your vehicle. 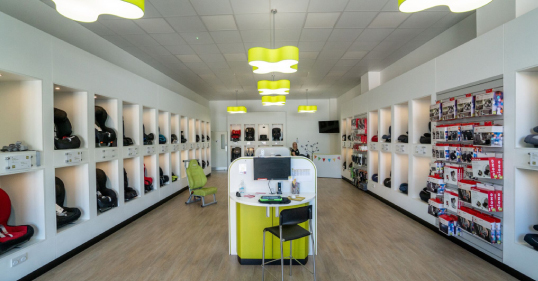 An In Car Safety Centre customer, has access to free and unlimited aftercare support at any of our Centres. This means that if you are re-installing your seat, and have forgotten how to do so, we will do this for you. If you have come across a problem with your seat, we will arrange with the manufacturer that this is rectified. We are available 6 days a week via phone call or email. You can book an appointment at any of our Centres if you wish to come in. 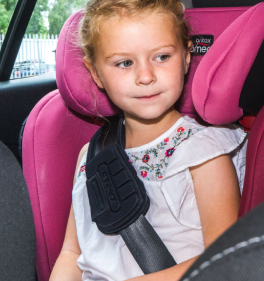 We hope that our advice and help with selecting the most suitable seat for your child and vehicle provides you with peace of mind, knowing your child is as safe as can be. Contact your nearest showroom and book a free consultation today.